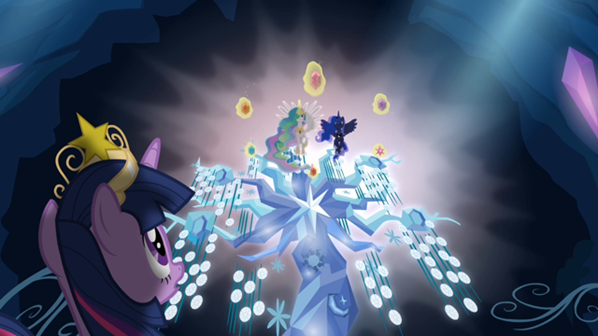 Top 10 Episodes of Season 4 of My Little Pony: Friendship is Magic | The Reviewers Unite! Back when Season 3 ended, it was fairly easy for me to pick 5 episodes out of the otherwise still pretty great season’s 13 as my favorites. This season, it was hard for me to narrow down a list of 10 episodes while still making a few painful cuts. I can safely say that this was the best one yet, to the point where I was considering bending the rules a little just so I could include a few honorable mentions. But if I did, I would end up with half the season on the list, and that’s no fun. Also, I wanna point out that I decided to not rank my picks, mostly because I consider the process to be a bit arbitrary (what matters the most is the one that makes it to #1) and it would slightly diminish some of the episode’s strengths. So instead, I like to think of this list as the 10 episodes that meant the most to me and capture what I enjoyed best of this helping of ponies. Also, I should stress that this isn’t a list of what I think are (entirely) the objectively best episodes of the season, but instead the ones that resonate most strongly with me one way or another. That’s just how I roll. Finally, expect to see several variations on “best of the show so far” tossed around a lot here. Make of that what you will. I already talked at length about this on a previous editorial, so I’ll try to keep it short. This was easily the best season premiere the series has had so far, one that elevates all the elements of MLP that we had seen up until now, continuing to prove that despite sudden shift in the series’ direction, the show’s appeal and energy was not going away, and it would actually grow. Even though it exists mostly to set up the season’s overarching story, it’s still strong enough to stand on its own. Waiting almost a full year for this was definitely worth it. Confession time: I haven’t been the biggest fan of Rainbow Dash, mostly because I’ve felt that she’s been having the tendency of being very good in supporting roles such as in Hurricane Fluttershy and Sleepless in Ponyville, and not having enough strong solo episodes. This began to change this season, particularly with this one. Maybe it’s just that I like her for different reasons as most fans, but I liked the idea of a story starring her where she becomes so elated about meeting a personal hero to the point where she forgets about her own self-worth. It’s hard to see this idea working as well as it does here with another character. I feel that a lot of the hubbub over this episode was that there was no indication in the previews leading up to it that hinted at the kind of story we got. Given the descriptions available at the time, many were imagining this to be a story about the relationship between the artist and the fan. 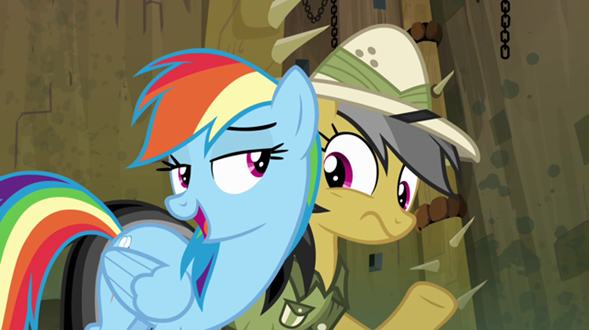 In spite of the unexpected addition of Daring Do being real, I feel this is the story we got anyway. We all have our icons and it’s easy to think less of ourselves when we compare to them. This episode posits that our heroes are also people, just like us. When we address them as such and acknowledge that we are also worth something, it’s easier for both the artist and fan to connect positively (although having the artist do something cool for you is just a nice bonus). A lot of the backlash towards this seems to be rooted either in having an episode where the girls turn into superheroes and still making it an episode about Spike or whether it was a good idea to turn the girls into superheroes when they already have special abilities. (I’ve always found the latter argument to be very boring, so I’ll just ignore it.) Spike is hardly the most popular character in the show, so there’s always a stigma present whenever he takes first billing. While I don’t think this is the best Spike episode of the season, this is probably the one episode that Spike needed the most. The de facto role of Spike’s character in the series is as an assistant. Episodes that spotlight this regularly focus on his relationship to a single other character, whether it’s Twilight or some other pony. This is the first episode that brings to the forefront his role as assistant to the entire Mane 6, and how he isn’t always cut for bigger things than them. Putting this dynamic in the context of a superhero setting, where the girls all have superpowers and Spike is a helpless, powerless sidekick, is about as explicit as this idea can get. Even when Spike has a better understanding of the girls’ powers, they still have a better chance of defeating The Mane-iac. It eventually starts to become clear that Spike’s sense of inferiority is all in his head. Despite not having any powers, the girls consider him a priceless addition to the team. Much like in Equestria Games, Spike has to overcome the obstacles that he has set up for himself and get over his elf-imposed inferiority. Once he does, he truly gets a chance to shine and do what any great sidekick does: make the heroes look good. I’ve always felt that there was always something missing, like some kind of recurring thematic element, to send Spike over the top in a similar way as his friends. This is the episode that made me realize that that was right in front of me the whole time yet I never noticed. I’ve long said that Spike needs more love, and I’m glad that he can have his day once in a while, even if other fans don’t care. 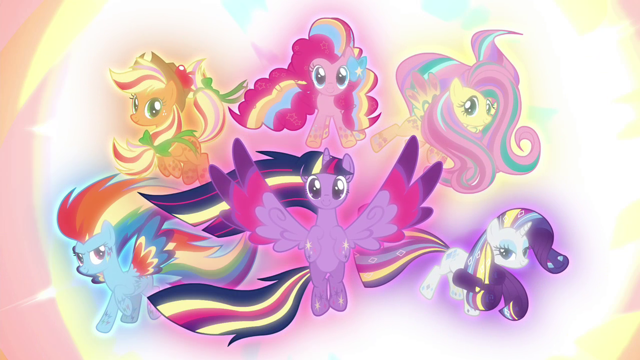 Also, I just dig the idea of the Mane 6 as superheroes. That just kicks all the butts. 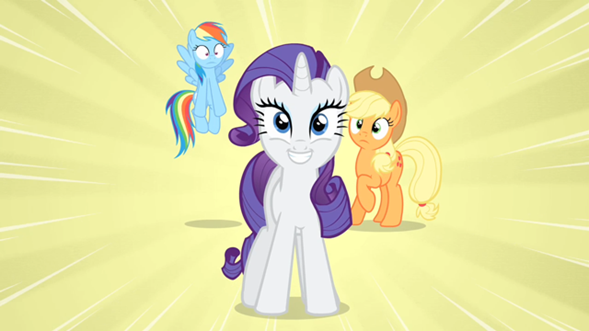 It had been a long time since Rarity had a solo episode, I had almost forgotten what that felt like. This was definitely the best way to bring her back: an episode that’s all about what Rarity stands for, her generous spirit and love of fashion, and watching all that come clashing together. The dichotomy of Rarity being benevolent at heart but self-centered when it comes to her life’s calling has always been the most interesting part of her character, and this is the best exploration of that theme yet, as we see her enter Manehattan with high hopes about how wonderful it is, only to take out her frustrations on her friends because of a severe reality check from Suri Polomare, who may be the episode’s secret weapon. This may be the first time in the entire series where a villain doesn’t get a come-uppance for their actions (at least on-screen), but it fits well with the theme of how there’s always going to be people looking to take advantage of you, how you can always do better and how you don’t have to sink to their level. 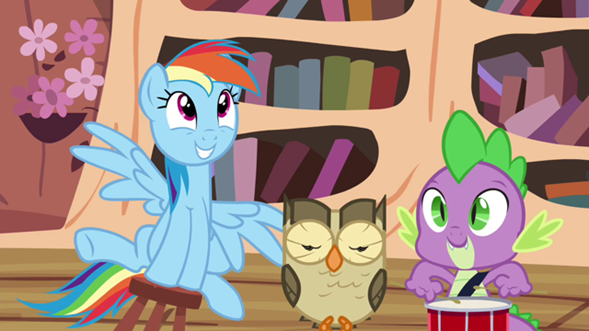 This also marks our introduction to the “rainbow connection” episodes, where we get an idea of what to expect in terms of story and theme, namely how this episode focus on one of the Elements of Harmony, the protagonist’s passion, and passing on a lesson to another pony. Having Rarity as the star of this after such a long absence feels like a very effective, though probably unintentional, method of highlighting this. With this, Dave Polsky gets to write what may be his best episode to date: great characters, a great new setting, a great song, and great jokes. All in all, a dangerously near perfect episode. Of all the personal requests I had in mind for Season 4, I feel that the one that truly got delivered was giving Applejack more to do. This was a very good season for her, as she got to flex her comedic muscles more than she has ever done. Still, I was a bit surprised that as I narrowed down my picks for this list, I didn’t have an episode where she’s the star. 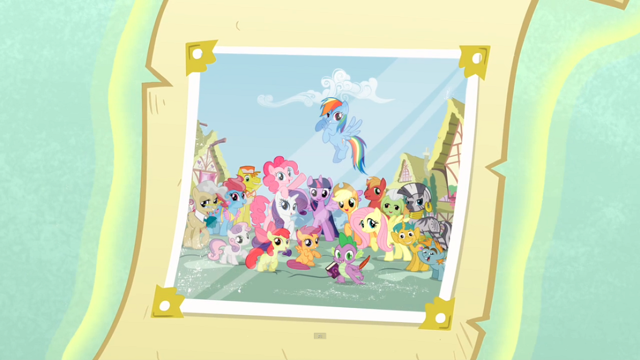 The closest I got was this, which is technically an Apple family episode featuring a big dose of Pinkie Pie. While I don’t think this episode features some of her individually strongest moments, she gets to be part of a much better whole. 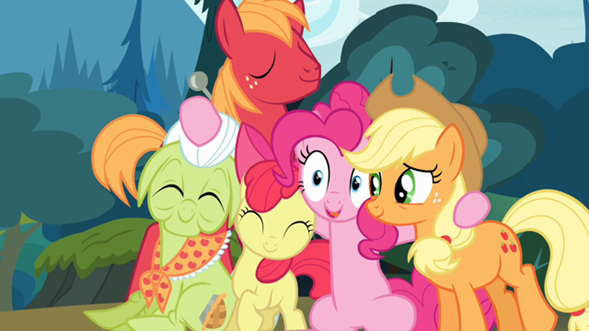 While we’ve had episodes focusing on the Apple family before, those tended to lean more towards Applejack learning something as the heart of the plot. This is the first time in which her family is referred to less as individual members and more as a collective. They’ve always had this vision of themselves as a very strong and united family, but this time, they are set up to realize that even the best families have their moments of weakness, where they just can’t stand each other at times. 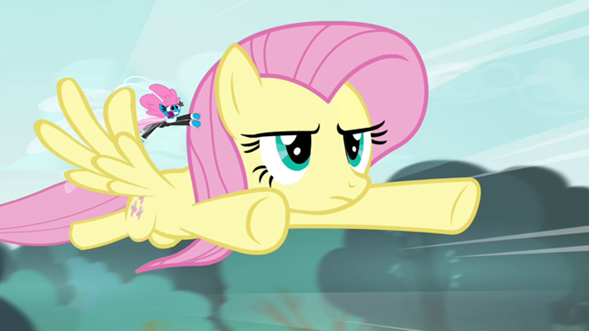 What ties the episode all together is the deceptive use of Pinkie, where she stays in her usual M.O. throughout most of the running time, and then surprises us with that rare instance where she’s the one that delivers wisdom to someone who needs it. Add an easy-going sense of humor and one of the season’s catchiest, most upbeat songs, and it all comes together as a very strong debut for writer Natasha Levinger. If I had to single out an episode from this list as the best of the season, this would be it. There’s only been two occasions where I’ve felt that an episode of this show is so good, that discussing its merits feels almost pointless. This is one of those times. Still, I will try my best. Music has always been one of the most robust aspects of the show, and here it’s put to use like never before, where it’s used in service of furthering the story as opposed to just existing as just a musical sequence. This is easily the best story starring Pinkie Pie so far, where we see her dive into a conflict between her love of parties, her desire to make her friends happy, and how they can create a problem when they collide when she gets upstaged. There have always been signs that underneath her happy-go-lucky demeanor, she’s very protective of what she’s ardent about, and it can drive her to act without thinking, particularly in a very selfish way. Her sense of threat coming from Cheese Sandwich drives her to the most extreme version of this yet (“So are you in, Cheese? Or are you… boneless?”), and having her come down from that is genuinely heartfelt. For a character that’s usually the default comic relief, it’s always welcome to see Pinkie reach for greater things. Finally, while we probably still would’ve gotten a good character out of Cheese Sandwich if he were just “Weird Al Yankovic the Pony” (which he is, pretty much), the story goes the extra mile to make him one of the most charming, sympathetic, and even tragic characters in the series (He ran away from home because of loneliness). The reveal of why he’s a party planner in the first place is one of the sweetest and most endearing moments in the entire show so far. 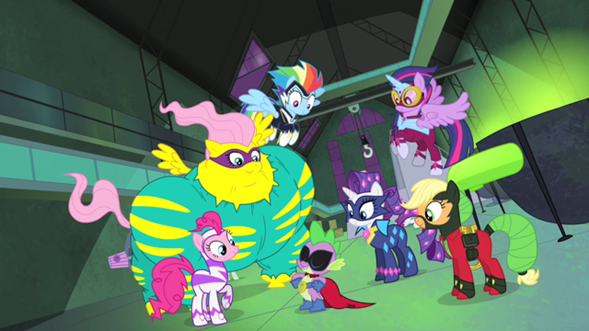 It’s also a nice bonus that having Weird Al bless the show with his presence gives MLP some very nerdy street cred. All in all, it’s just plain excellent. If I was going to make this list, I had to consider how many of the “rainbow” episodes I would include. While I consider that the majority of them do many things right, and there isn’t a single one of them I would flat-out call “bad”, I didn’t want the list to be overwhelmed by them. Still, I wanted this episode to make it for one very important reason: out of all the episodes in this little saga, this is the one that features what may be my favorite “key bearer”. Fluttershy’s connection to Seabreeze is one that we get to see develop right up-front, with both characters bouncing back and forth and eventually learning something important from each other. While most of these either have a character develop a sense of whatever element of harmony the protagonist of a given episode represents as a side effect of said protagonist’s journey, or have their development happen off-screen, this change in character happens gradually right before us. It also helps that the lesson Fluttershy takes away from this is probably the most original out of this series of episodes, where she learns that too much kindness can do more harm than good in the long run. Sometimes being firm with someone and letting them manage a problem on their own is really what’s for the best. I‘ve said that what makes this little saga so much fun is that it goes straight for what the girls value the most in life and forces them to come to terms with they start approaching it the wrong way. Having this be a conflict about having too much of a good thing feels very novel and pleasing. It bums me out that this is another episode with such a negative reception (I blame the toy tie-ins) because I can’t honestly see this one as something you’d hate. It’s just such a pleasant episode. Writing an episode centered on a new character is always tricky, especially when we’ve never heard of said character before and we learn that it has very strong ties to a main character, regardless of how recurring it would turn out to be. You could end up with either a nobody or a beloved new addition to the series. 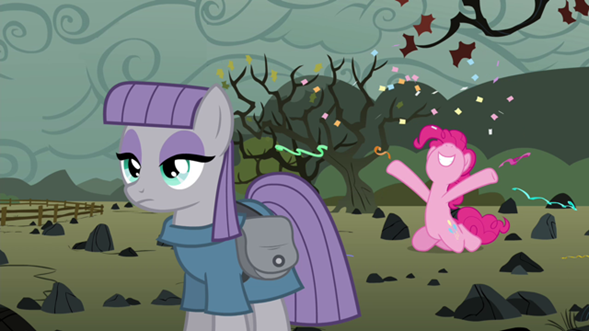 Thankfully, I am currently comfortable in saying that Maud is the best new character this season put forth. It’s a given that it’s impossible to talk about anything regarding this episode and not bring her up, but I don’t think there’s been a character on her level that dominated an episode quite like her before. What makes her so effective is that she’s based on surprise. The moment she steps on screen, after all the hype Pinkie Pie gave her, it’s obvious that she’s being set up for some kind of revelation later on that will either confirm all that hype or deny it (such as it is with stories like this). No matter what happens, an unseen aspect of her personality will come forth and change the way we look at her. However, even though we do get a surprise (in the most badass way possible), Maud is still the same pony she was the moment we first laid eyes on her, only know we learn that under her rough exterior, there’s a very caring and wonderful person. Her expressions of affection towards Pinkie feel surprisingly sincere and touching, something that we just wouldn’t associate with what we see at face value (the last moments of this episode are some of the most unapologetically, infectiously sappy moments in the entire show and it’s absolutely perfect). What makes it even better is that this is the rare occasion in which another character (non-antagonist) helps teach the Mane 6 an important lesson, that just because one doesn’t express themselves as openly as others doesn’t mean you can’t relate to them somehow. In my previous editorial, I was considering doing a section spotlighting new characters this season, but it probably would’ve dissolved into a rant about why Maud rocks is awesome. If the season premiere felt like step forward for the series in terms of raising its own benchmark for story, visuals, and scale, this one felt like a leap. Of all the major life-or-death scenarios that the series has tackled, none of them feel as well realized as this. Despite being background noise throughout most of the season, Twilight’s journey to become the Princess of Friendship comes satisfyingly full-circle, and even gets to set up a new course for her to explore in the future. What makes it so effective is having her go up against what may be the most downright wretched villain the series has had yet. Lord Tirek is the the first villain in the show that desires not to just rule over ponies (political power), but sees himself superior to them and wants to use their power as his own, but what makes him so remarkable is that he’s not just a brute that gets by on his power or simply his presence (Queen Chrysallis), he also relies heavily on his cunning, tenacity and ability to retaliate at whatever’s thrown at him (Sunset Shimmer). He doesn’t care who or what he has to step on to get ahead, which leads to what may be the coldest, most stake raising, gut-punch of a twist the show has ever seen. Also, this episode has the best use of Discord yet, with the episode dedicating a large portion of it to an arc of his own where he comes to realize just how much what he has with the Mane 6 means to him. Add a knockout of a princess quartet, an action scene big enough to make most action blockbusters blush, and a setup for even bigger adventures for Twilight and friends, and you got one tremendous package. It’s so good, I don’t particularly mind that Twilight’s friends don’t get much to do here. Well, that was Season 4. Here’s to more ponies in 2015.